Just before you begin the install process, please be certain you are able to spend the effort and time, and you like the installation process, otherwise, we will strongly advise you go to an auto shop for the professional install instead, since they can do a better job and get the job done correctly. While in the installation process, remember to wash your hands if they get very oily, you don’t wish the oily stuff on your headlights. Also, be sure you checked out what types of screws you need to remove, and check if you have the correct tools on hand. Unscrew the screws affixing the bumper on the front, typically there will be several screws on the headlight lamps and near the wheel. You will have to use the proper force to pull the bumper off, but be sure you don’t force it out since you are not trying to crack it! Before you yank the front bumper out, be sure you check all screws are removed. For some cars for instance Honda Civic, you probably won’t need to pull off the entire bumper, if the bumper is loose enough you are able to get the headlights off, but we advised you to remove the front bumper completely since it can allow you with more space to work with and help to make the installation a lot easier. You should unscrew the top part of the headlights and pull it out, it should be very simple. 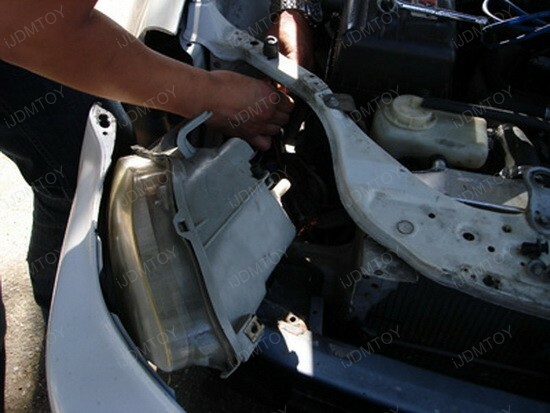 Simply just make sure all screws are removed, and you unplug all wirings that the stock headlights are connected to the car. When you take off your headlights, you should make sure you place the light bulb carefully. Many times, the xenon HID bulbs or halogen bulbs can get burnt out if you get oil or fingerprint on it, so be very careful on this. 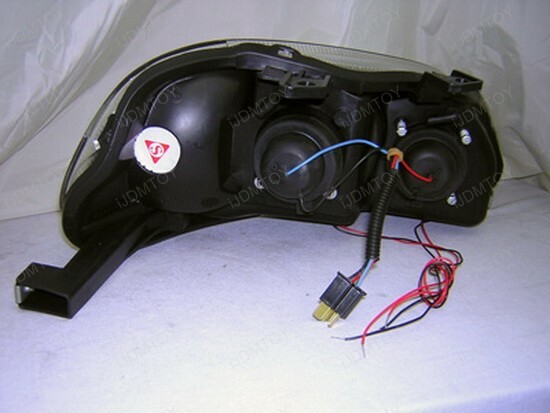 Some customer have reported an issue that the halo projector head lamps get foggy in areas that is highly humid. The best way to avoid headlights get foggy is to dry out the inside of the headlights housing with a hair dryer, and reseal the edge using some silicon glue. Take your clear silicone and squirt it where the sealant is. Try to make it as thick as a 0. 5" all around. Take your sweet time also, because you do NOT want a leak in your headlight. A little overflow when squishing the housings back together is fine. This step is not always necessary but we do recommend you to do so in order to prevent headlights get moisture inside. Yet again, if you go to any professional auto shop, you should always ask them to do this for you as well. Placing the new headlights in is as straightforward as pulling it out, so if you are installing crystal headlights or projector headlights only, it is all done after you check the screw is tight and you fit light bulbs in. 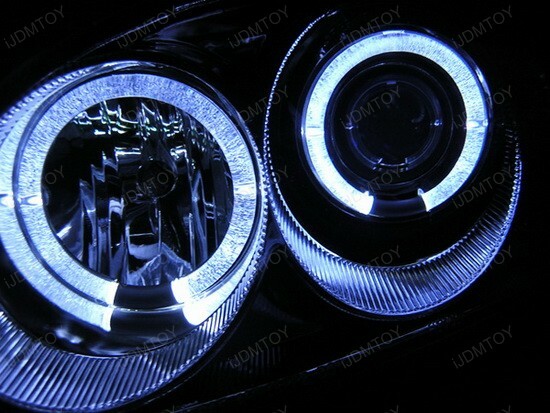 If your new projector headlights are with halo rings or LED, do not tighten up the screws at the moment, simply because you need to connect the headlight wiring to the power source to ensure everything works correctly. 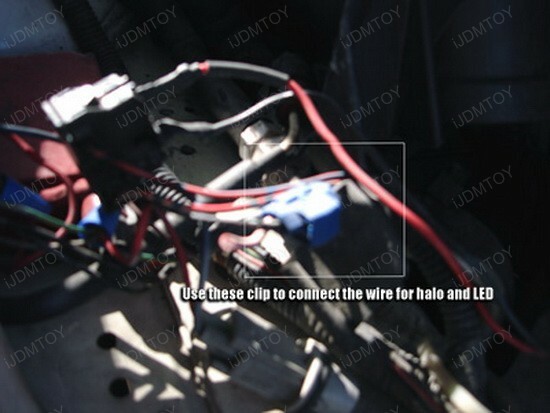 Firstly, some projector halo headlights have plug that pre-assembled, so it is simply plug-N-play; however for rest of the halo projector headlights, you will find there are some wires coming out, and the wires will include red, white or black wires. To determine which wire is for power and ground is confusing, due to the fact different brands could use wires in different colors; on the other hand, the typical rule is if you see red wires, it is generally to the power, if you see black wire it is generally to the ground. So, for example, if you see red and white wires, the red is to power and white to ground; if you see white and black wires, the white to the power and black to the ground. You can always try to connect the wires to the power source and ground and test out which one is for the power and ground, or you can also email us and get an answer. The most recommend place to connect the halo and LED lights is to the vehicle’s stock parking lights wires, since you want your light to light up when you turn on your parking/low beam lights instead of lighting up all day. Do not wire the halo or the LED lights to the turn signal lights because you do not want your halo ring to blink with the turn-signals! 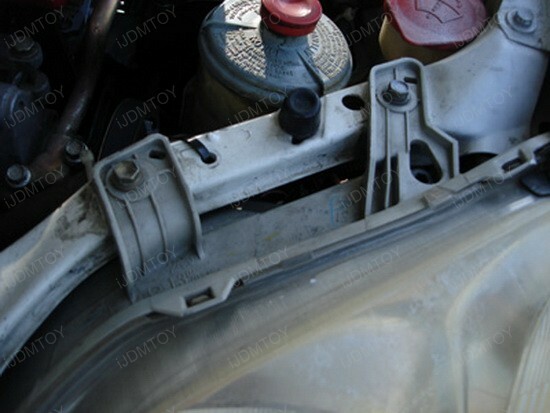 We highly recommend using a wire clamp or T-tap (you can find these t-tap in store like Autozone or Pepboys). The t-tap or clamps will make the wiring connection easier and faster and also safer. Quite simply it is a small clamp were to put two different wires together and close down on a locking clamp. It properly connects the two wires together without any cutting of any of the wires yourself. After you connect all wires to the parking power source and ground, turn on your parking lights and see if the halo/LED light up as well. If the halo does not light up, double check to see whether you have the wires connected properly. Try to reverse the wires around or directly tap the wires to the battery to test again. 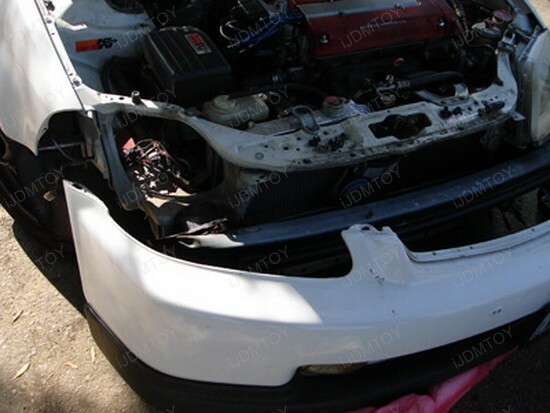 Step 4: Install back the Projector Headlights and put back the bumper. 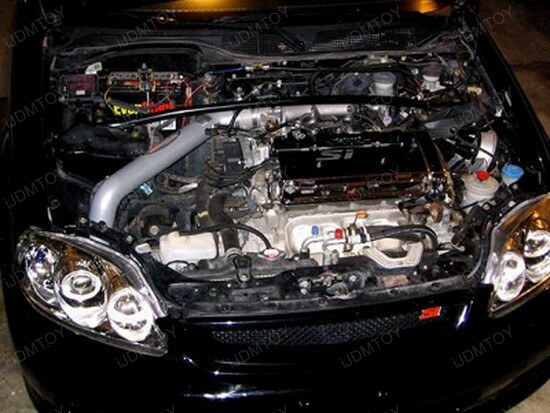 Afterwards, you can find How to Install HID for Aftermarket Headlights here.